Despite launching the Symbian Belle operating system with the new Nokia 600, 700 and 701 handsets earlier this year, Nokia has finally announced that existing Symbian^3 and Symbian Anna devices will get the new software only in ‘early 2012′. The confirmation puts to an end speculation that the update could roll out to the Nokia N8, E7, X7, C6-01, C7 and other Symbian-powered smartphones before the end of the year, with many believing that Nokia would followup the launch of the Nokia 600, 700 and 701 with update support for its older devices soon after. Nokia Belle is the latest Symbian software release with all-new user interface, improved user experience, and dozens of improved and new features. We have already shipped Nokia 603, 700 and 701 with Belle software this year, and have received great feedback on the new user experience. We will make Nokia Belle available to consumers globally by rolling out the Belle software for the existing Nokia range of smartphones such as N8, E7, X7, C6-01, C7, Oro, E6, and Nokia 500 in early 2012. With that, millions of consumers around the world will get a totally fresh experience on their Symbian smartphone. 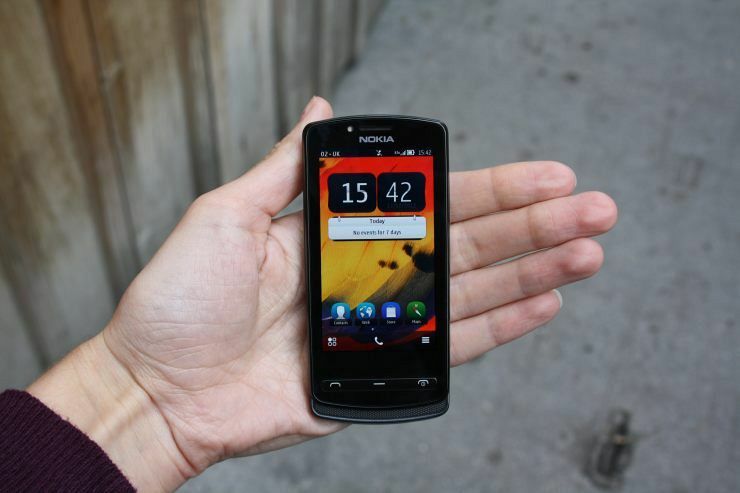 You may notice that Nokia refers to the update as Nokia Belle, dropping the Symbian brand. This is likely to reduce confusion over updates and help bring software and services under the Nokia name. The tactic is likely to help drive sales of Nokia’s latest Symbian handsets, which have begun to pick up in recent months. Users in South America and in Asia have warmed to the Finnish mobile giant’s affordable handsets, which are contributing towards Nokia’s goal of taking devices to ‘the next billion’.